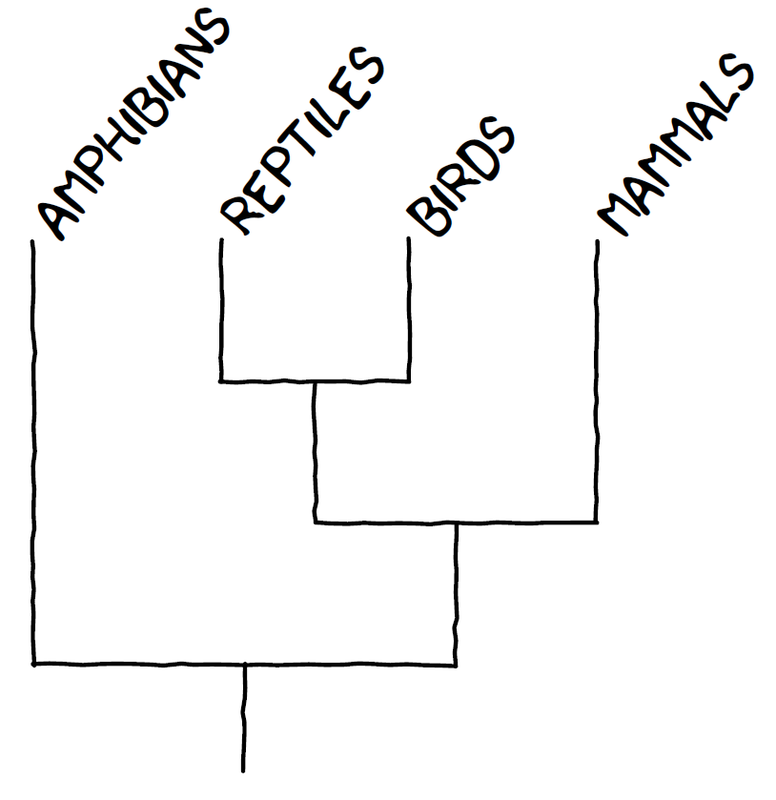 After discovering an actual xkcd comic featuring a phylogenetic tree, I was determined to incorporate some of the attributes of this comic tree into the function xkcdTree. Specifically, the real xkcd trees had tilted tip labels, a root edge, and an upward orientation (all things that my xkcd trees lacked). All of these features are also popular plotting options which, now that I've figured them out, should be easier to incorporate into other phytools plotting function - such as plotSimmap - so it's not all about plotting cartoon trees! deg2rad is an internal function for xkcdTree. To plot a vertical (i.e., upward facing) tree, all we need to do is flip x & y. We can't forget, though, that the space we have calculated for our labels will also need to be transformed - depending on the dimensions we've allocated for our plotting space. Obviously, plotting cartoon trees is a fairly silly exercise - but I have certainly learned a thing or too that will help me as I augment that plotting functions of the phytools package in the future.